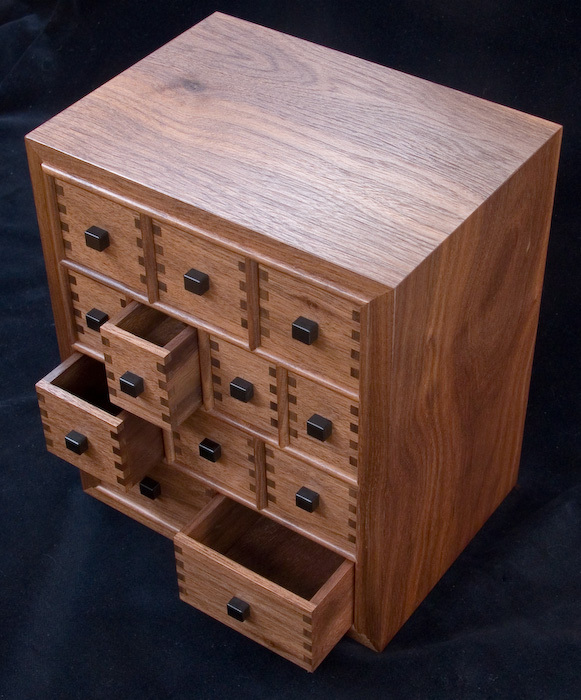 This twelve drawer cabinet in American walnut stands only 23cm high. 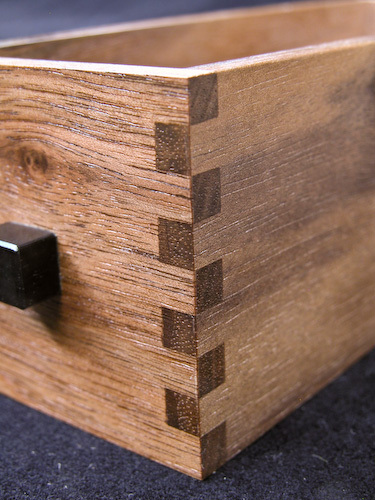 This detail shows the 5mm wide box joints which were cut with a set of five slot cutters mounted on an arbor in a router. 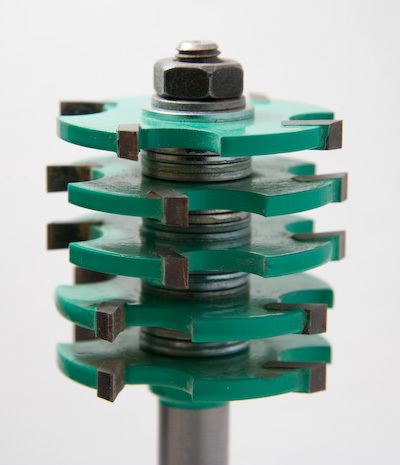 The distance between the cutter was adjusted with shims until the fit was just right for this (relatively soft) walnut. The drawer handles are ebony. 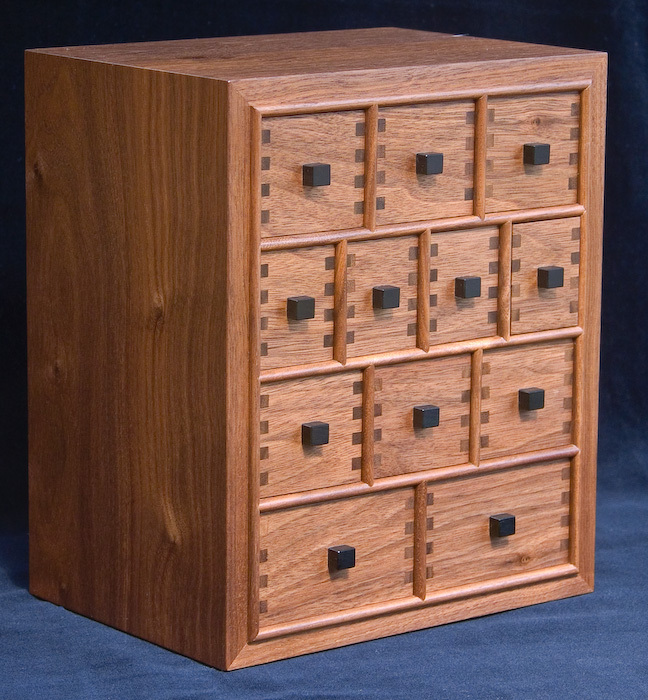 In keeping with spice box tradition, there are two secret compartments hidden in this small cabinet.